Meng graduated from NSIA with a Diploma in Hotel, Hospitality Management (Level 5) in April 2014. He also won the Grand Chancellor Workplace award at the 2014 NSIA Graduation for his fantastic commitment to the industry during his time at NSIA. 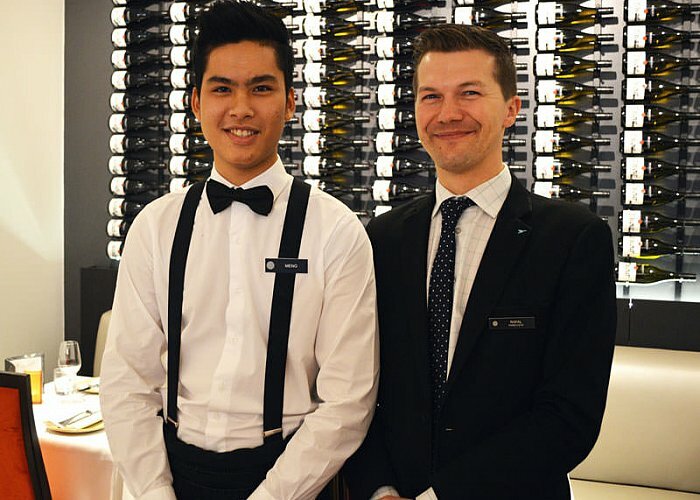 Meng started at the Pullman Auckland Hotel in April 2015 as a Food and Beverage attendant at the Tapestry Dining restaurant. "I would consider Meng to be one of my ‘Star’ employees, within a month of joining the team he had received multiple positive comments from customers and fellow staff. He always takes initiative and puts forward creative new ideas to the team from his previous education and work experience. 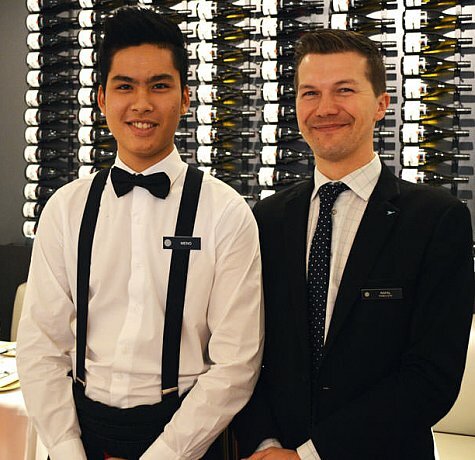 I believe he is the future of the hospitality industry and I hope that he will have a long-term career with us at the Pullman Auckland Hotel." "I really enjoy working at the Pullman Auckland Hotel as the company allows their employees to be themselves and be creative within their role. My manager Rafal has played a huge role part in my professional development at The Pullman Auckland Hotel. He is patient, positive and praises his staff which is very motivating for the team. I am working my way to the top in the hope of becoming the general manager in the future. I would like to thank the NSIA Connect team who have supported me to develop my experience within the industry through work experience and job placement during my time at NSIA." At Tapestry Dining we 'seek, gather and thread' regional and seasonal products to produce dishes that celebrate nature’s 'work-of-art'. A warm welcome and a unique culinary experience awaits you at Tapestry Dining.